Over the last 6 years, I have developed an educational symposium for healthcare providers to address women and cardiovascular disease, particularly prevention of sudden cardiac death. This symposium has been well received and I have produced it all over the country. The focus of the event has been to specifically address disparities in care–men are much more likely to receive more advanced, more aggressive and more cutting edge therapy than women in identical circumstances. Many hypotheses have been put forward to explain and address these disparities. Some include access to care, patient concerns and education about CV disease, social stereotypes and patient denial of symptoms or risk. During the development of the symposium, I realized that many women in the US today regularly see OB/GYN physicians as their only healthcare provider. OB/GYN physicians are not always well equipped to provide comprehensive primary care and may have little time to devote to screening for cardiovascular disease–these are highly trained women’s health experts. Most women who see an OB/GYN are more concerned with dying of breast, uterine or ovarian cancer than with CV disease or sudden cardiac death. WIth the OB/GYN, I saw an opportunity to really impact disparity in care. I began to target OB/GYN physicians and developed a quick and easy office screening tool that can be used to pre screen patients for CV disease. A simple waiting room questionnaire is filled out by the patient and handed to the nurse at intake. This questionnaire would then prompt a busy OB/GYN provider to more aggressively screen at risk women. I also produced educational events specifically for OB/GYN physicians and invited cardiologists to attend in the hopes of facilitating interactions between very dichotomous specialties. In some cases this worked well and OB/GYNs and cardiologists began to develop referral relationships following the event. However, gender disparities in care continue to exist. Despite my best efforts (and the efforts of countless others) over the last 6 years, women with cardiovascular disease continue to be undertreated and underserved. Although we are making significant progress there is still much work to be done. A review article published in July 2012 in Women’s Health by McSweeny et al examined disparities in congestive heart failure (CHF) and other CV diseases in women. In this review, the authors identify reasons why outcomes in women with CHF are poorer as compared to men. Lack of aggressive treatment of the underlying causes of CHF such as coronary artery disease as well as a lack of adherence to medical therapy, late presentation and multiple comorbidities are identified as significant contributors to these poor outcomes. A complete lack of social support is also labelled as a major factor in the outcome of women with CHF. 3. Closing the Survival Gap. Women are less likely to receive evidence based therapies such as beta blockers and ACE inhibitors that have been proven to decrease mortality. Women are less likely to have coronary artery bypass surgery, cardiac catheterizations and revascularization. Goal should be to impact this fact through advocacy, better training of physicians and inclusion of more women in research and clinical trials. 4. Patient-Provider Connections. Physicians must strive to develop better relationships and have better communication with patients. Often depression, socioeconomic status and other issues become barriers to care. By seeing the whole patient and addressing some of these issues, a physician may be able to better partner with female patients and improve care. Disparities in care for women continue to exist. It is a significant public health problem today. More women than men die from cardiovascular disease each year. Although many have worked very hard to reduce these disparities, there is much work yet to be done. We must continue to communicate, advocate and educate in order to improve outcomes in the future. Waiting is part of life. But should it be a mandatory part of routine medical care? Recently an article was published in the New York Timesby Jan Hoffman that examined the anxiety and emotional angst associated with waiting for test results. Often, patients and families are made to wait for days if not weeks to receive a call from the physician or nurse relaying their test results. The current system is inefficient and fraught with problems. In our digital age of real time tweets and facebook posts, why is it so darn difficult to get data from tests to our patients quickly?A lot of the problem goes back to the earlier, more paternal days of medicine when a doctor was expected to manage care and do what was in the best interest of the patient. Involvement of patients in decision making was much less common. Often test results were provided to patients on a “need to know” basis. Certainly, I expect the motivation for this early practice was to avoid unnecessary worry and to provide the best possible care. However, today’s medicine is practiced much differently. As providers, we should welcome and emphasize patient engagement and participation in care. Clearly, outcomes are improved when patients actively manage their own disease in cooperation with their physician. In addition, patients and providers are very well informed and have access to instantaneous information from the internet. In the past, it was deemed necessary for test results to be delivered and interpreted by a physician or designate in order to properly explain and help the patient process and understand the result. Today, that is still partly true. However, when ordering a battery of tests, clinicians must spend time discussing the reason for the testing and the possible or expected results with the patient and family. These discussions will help prepare the patient for various test outcome scenarios. Although, anxiety may still remain, the patient will have some time to prepare emotionally for the possibilities. As with most of medicine, communication between patient and physician typically lessens anxiety, improves understanding and forges better healthcare partnerships. In this new era of digital medicine, I believe that our system of delivering test results to patients is antiquated. Although meeting or speaking with a physician or other healthcare provider to help interpret test results remains necessary, I believe that patients should have “real-time” access to the results–their own healthcare data. Internet based “patient portals” that are secure and HIPAA compliant are a must. Going forward, our patients that have labs, Xrays, CT scans or other studies performed should be able to view results as they are posted by the interpreting physician. Certainly, all patients are not going to be able to fully understand and interpret the results as dictated in a report, but at least they will not remain in purgatory waiting to hear. If the test reveals a particularly troubling result, the responsible physician must reach out to that particular patient and family in a timely fashion. Follow up office discussions of results remain a cornerstone of high quality care even when data is made immediately available. In the Times article, a family waited nearly a week for lab results to be reported and discussed. During that time, the patient feared the worst. After waiting days on end and having countless sleepless nights, she was eventually informed that the only abnormality was relatively trivial. The delay in communication resulted in unnecessary worry by both the patient and family. Remember, we want our patients to be engaged in their own healthcare. They trust their provider to shepherd them through the maze of diagnostic testing that the medicine often requires. Education and understanding is paramount. When ordering diagnostic testing, make sure that the patient understands why the test was ordered and what you are looking for. Make sure you set reasonable expectations as to when the results will be made available. As I have said in previous blogs, data is empowering. We must advocate for our patients. We must reduce patient anxiety and do a better job of providing them with timely access to their healthcare data. Traditionally, a physician’s reputation was best established and passed along by word of mouth. Discussions among friends or at church, sporting events or civic groups often provided the information necessary for potential patients to choose a healthcare provider. Today, most patients and consumers of healthcare get information about medical conditions and physicians online. Some studies have shown that nearly 80% of today’s consumers go online first when evaluating a medical provider. Information (whether accurate or not) is consumed and perpetuated at a light-speed pace and it is often difficult to keep up with your own digital presence. Physicians must actively manage their online reputations or suffer the consequences of an unfair and unfounded digital reputation. In my world, online reputation is critical. 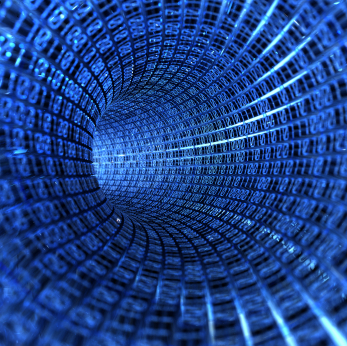 Cyberspace is where my patients and customers are, where they go first and where I need to be. I spent more than 5 years taking Latin in high school and college so it only seems natural for me to start there when analyzing the term collaborate. In Latin, co– or col- mean “together” and laborarae is translated “to work”. The literal definition of collaboration is “laboring together”.This translation should bring about a vision of collegiality and working and learning together to achieve a goal. You know, “blood, sweat and tears” and a victory celebration when the goal is achieved–like a Rocky movie. Unfortunately, this is not always the case in medicine and in healthcare delivery.Today, there are large gaps in knowledge and the application of knowledge in clinical practice. Collaboration in medicine has the potential to bring healthcare providers together to focus on this gap and may ultimately lead to an accelerated improvement in quality. Healthcare has very disparate collaborative experiences. As individual providers, nurses, PAs, physicians, physician consultants and pharmacists all work closely together to treat a hospitalized patient. However, on the other hand, physicians are trained to be independent in thought and care and do not think of themselves as depending on others. In residency, asking for help is often viewed as a weakness. The culture of the physician in healthcare is that of self reliance rather than collaboration–my patient, my office, my clinical decision. In reality, healthcare is most effectively delivered when a team approach to care is embraced. When providers collaborate, the focus is shifted from the individual to the system and how care is provided–a system based team approach. When providers collaborate care of all patients in the system improves. 3. Communication skills are poor and angry outbursts were commonWhat can we do? In general, neither our healthcare providers or system truly understands the concept of improving care through collaboration. Competition, productivity pressures, and little time for meetings make collaboration difficult among providers. Other non medical industries (some of which are fiercely competitive) have embraced opportunities to collaborate for improvement. In the technology sector, many companies conduct joint research–they have the vision to see the win-win outcomes when smart people work together. As providers, we can learn lessons from collaborations in other industries. A great example is the heroic collaboration among pilot, first officer, ground communications and crew that safely landed US Air Flight 1549 in the Hudson river in January 2009. As most of us recall, US Air flight 1549 suffered engine shut down due to damage caused by geese right after taking off from LaGuardia Airport. The pilot and crew remained calm under pressure and quickly came up with an action plan. The plane was skillfully and safely landed in the Hudson river without a single casualty. Although many consider this a miracle, when closely examined, US Air Flight 1549 provides insight into the RIGHT way to perform as a team. Certainly, the technical skill of the pilots was essential to the safe landing but I believe it was the non-technical skills of the crew that played an enormous role in the successful outcome. Many lessons learned from aviation training and what went right on that flight can be directly applied to collaboration in medicine and may very well result in increased quality and improved outcomes. In 2009 an article in CHEST reviewed these principles and applied them to the Intensivist setting. 1. Crew Resource Management (CRM): The aviation industry regularly requires pilots and crew to participate in training that helps to develop non technical skills that are felt to be invaluable during an in-air incident. This training focuses on applying problem solving strategies, communicating with team (and taking input from junior team members when appropriate), maintaining team structure, and executing plans. In this training, pilots are asked to consider various options for action and evaluate the likelihood for success and failure before implementing a particular plan. In this situation a junior officer should be able to provide input to a senior pilot for consideration. Much of this concept is applicable to medicine. As physicians, we must be willing to accept input from nurses, junior partners, pharmacists and other providers. Although we may have the final say, we must consider the options for therapy and each options pros and cons. The senior decision maker must not be threatened by input from other providers. 2. Effective leadership and communication: The team leader of Flight 1549 was Captain Sullenberger and he was responsible for managing information, equipment and people. 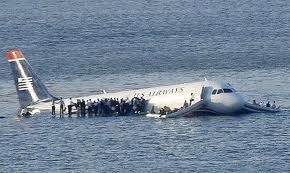 Captain Sully was also responsible for avoiding procedural errors and communication with the ground and flight crew. Just as in a medical emergency (code blue or trauma in the ER) the team leader must assign roles and communicate clearly, calmly and effectively. In the case of flight 1549, the Captain called to “brace for impact” and this was relayed by the first officer to the flight crew and then to the passengers in an orderly succinct fashion. In a medical emergency, effective communication is key. The person who has identified themselves as the leader must assertively instruct the team members while considering alternative input from others. A heirarchical attitude in a medical emergency in the ICU discourages communication among more junior team members and may make nurses feel undervalued–all may lead to errors. The team leader must be able to assimilate team member concerns and not dismiss them without some consideration. Group debriefing is an important follow up activity after a medical emergency . Here leaders and team members alike can learn from errors. (Just as was demonstrated in the Harvard simulator situations). 3. Simulation and Training: Captain Sully and his crew admit that much of the technical skill and reaction that occurred in the landing of the disabled aircraft was “automatic” and due to years of simulation and repetitive training. In medical training, we often use a “see one, do one, teach one” approach for hands on training. More simulation training would certainly benefit technical responses in a medical emergency. Hours of training and multi year residencies are essential to developing keen technical skills and sound judgement. In some ways, the curtailing of “working hours” for US resident physicians, may very well decrease quality of care due to lack of experience. The US Air flight crew, however, credited the CRM and team training with providing them with the most important skills for a successful landing. Medical education and medical systems must mandate leadership and team building training for their professionals. Debriefing after clinical events must occur in order for learning and improvement to occur. We can all learn lessons from Captain Sully and US Air Flight 1549. Certainly collaboration among team members and effective communication among leaders and those in junior positions on the team is essential. By approaching a medical situation as a team we are able to consider multiple treatment options and scenarios, make educated guesses as to outcome and implement the strategy thought to be best for success. By turning focus away from the individual and toward the system and team, the chances for success improve and care is delivered more efficiently and with higher quality. As we move to improve quality and delivery of care in the US, “fasten your seatbelts”. And from the tower, “you are cleared for take-off”. In today’s healthcare environment, nearly half of all new physicians are salaried employees of a hospital or healthcare system. Now, more than ever, physician leadership is of paramount importance. With increasing pressure to increase care quality and simultaneously lower healthcare delivery cost, it is essential that physicians and administrators work together. Physicians must continue to grow into executive roles and lead both healthcare systems as well as manage other doctors and clinical staff. By the very nature of the practice of medicine, all physicians are leaders. 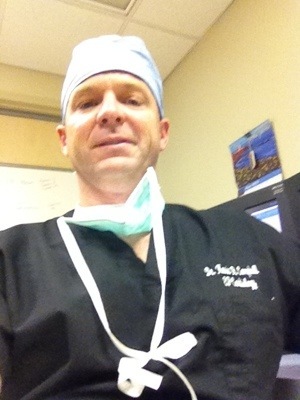 Doctors direct clinical care on the wards, in the ER, in the operating room and in the office. However, physicians must begin to embrace roles where they are directing activities in a boardroom as well. Current medical education certainly falls short in formal leadership training and needs critical improvements immediately. In 2010, Harvard Business Review addressed this very issue. Surgeon Atul Gawande is quoted as saying “most medicine is delivered by teams of people…yet we don’t train physicians how to lead teams or be team members. This [training] should begin in medical school”. Medical schools must begin to formalize leadership training and help to create more graduates who are not only skilled as physicians but are also skilled as physician executives. In order to train emerging physician leaders, we must identify those characteristics that are most important to develop. Much has been written about leadership in business. I believe effective physician leaders have many skills and traits in common with executives that manage Fortune 500 companies. I believe we should focus on identifying and cultivating these characteristics in medical school and residency in order to produce the physician leaders of the future. Although my list is not all inclusive, I have chosen to highlight 4 points I feel are most important to leadership in medicine. 1. Integrity, Trust and Respect: In order to be effective at motivating and inspiring others, a physician leader must be respected by his or her peers. 2. Skillful Communication and Effective Conflict Management: Team members composed of physicians are traditionally used to being in charge and their voices heard. 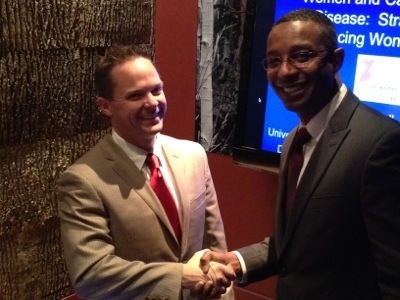 An effective physician leader is able to listen to others and assimilate ideas quickly. In order to maintain trust and respect of team members, the physician leader must be able to quickly resolve conflict among physicians, among administrators and among staff. The challenge is to resolve the conflict in a way that is equitable to all, in the best interest of the team at large and does not alienate team members with dissenting opinions. 3. Clear and Compelling Vision: The effective leader must understand the goals of the team and work to develop a path to success. The physician leader must see the “Big Picture” and be able to clearly communicate the goals and strategies to the team. In order to guide the team to the ultimate goal the leader must see a world without boundaries. Sometimes problems are best solved by thinking outside the norm and utilizing novel strategies to solve big problems. 4. Judgement and Accountability: A leader must be able to make decisions and live with the consequences of the choices that are made. Effective leaders accept personal responsibility for their actions and the actions of the team that works at their direction. This behavior helps to build a leader’s reputation of having integrity, trust and respect. Team members rally around leaders who do not “throw them under the bus”. Medicine is in transition. Physicians must lead the way in order for the highest quality healthcare to be effectively delivered going forward. Physicians in training must learn to lead. We must prioritize the training of physician executives. Medical schools must develop formalized training in team building and students must learn to be both effective team members as well as team leaders. The great physician leader will make GOOD healthcare systems GREAT. As physicians, the fate of the US healthcare system is squarely in our hands. WE can choose to sit back and watch things develop around us or we can begin to LEAD the way today. 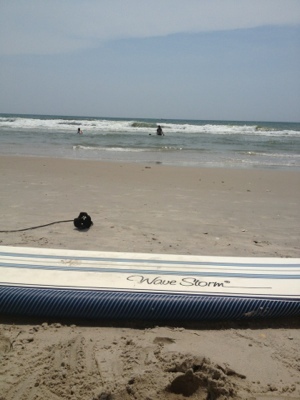 Recently, I decided to take up surfing (again). As a 20 year old kid, I was pretty good at most things that required athleticism (even surfing). However, as a 42 year old, things come a little harder. My daughter began taking surfing lessons about 9 months ago from a young professional surfer. She quickly was able to get up on the board and was soon riding waves (upright) to shore. I decided that I wanted to re-learn how to catch a wave so that I could spend some quality time in the water with her during the warmer months. I borrowed a longboard (you know, the one the old men ride) and quickly realized that I needed to get a few lessons from her teacher as well. After a few lessons, I was back up, riding waves to shore. However, the toll on my body was significant–fin cut on my leg, deep bruising of my thigh, cuts on my left foot and a nearly torn off toenail. However, no matter how much my body ached, I was quickly back out in the surf. Eventually, I began to feel comfortable on the waves again and was able to stand and ride to shore, even “dropping in” and riding down the wave from time to time.My experience with re-learning to surf made me think about how it must be for patients who are recovering from a myocardial infarction or heart attack. Certainly, as I have discussed in a prior blog, cardiac events can be major psychological stressors and can be associated with PTSD. Additionally, patients may develop avoidance type behaviors. For example, if a patient had a heart attack while walking in the mall they may refuse to go to the mall post-event. Many patients become reclusive, inactive and actually experience a significant decline in overall health status. Much has been written in the literature about the negative impact of avoidance behaviors. As clinicians who care for post MI patients, we must help our patients “learn to surf” again. Patients who have experienced life threatening events have much in common. Certainly anxiety and fear of recurrence are paramount. Several strategies can be employed to help our patients deal with these feelings. What can we as clinicians do? Take them surfing…. 1. Regain control: When sick and in the hospital, patients lose all control. For most, this can be a frightening experience. Patients can regain control by becoming actively engaged in their post MI care. Data provides power. Data provides control. Educate patients on the medications you have prescribed and why. Let them know that ACE inhibitors, Beta blockers, Aspirin, and cholesterol lowering meds have been shown to reduce mortality and prolong life in the appropriate cardiac patient. Engage patients in monitoring medication effects such as maintaining a BP log, or charting their cholesterol response over time. Help them choose an appropriate surfboard and help them understand how the board is best suited to their needs. Tell them why and how the long board will help them stand up and ride the wave to shore. 2. Educate: When a life threatening cardiac event occurs to a patient, many have no idea why. Spend time explaining the physiology of the event to the patient and family after discharge during an office visit. Help patients understand the biology of the cardiac event and understand how and why it was treated in the way that it was. Through greater understanding, patients are less likely to rely on unreasonable and unhealthy coping mechanisms such as avoidance of activities associated with the cardiac event (such as walking in the mall). Help them understand how the wave forms, how it gains momentum and how to paddle in at the perfect time to ride to shore. 3. Coach: Enroll patients in appropriate cardiac rehab activities. By working with certified rehab personnel and exercising in supervised environments, patients are more likely to gain confidence. Track progress and discuss the gains that are made during an office visit. Provide encouragement even when the patient expresses difficulty with exercise and fatigue–help them get back up and ride the next wave after wiping out. I am still sore from surfing this past week. But, I continue to get back up on the board and ride the waves. I find great peace and great pleasure in the ocean and on the board. Sometimes I wipe out, sometimes I get a few bruises. But I continue to surf. Let’s remember to keep our patients from avoiding things that may give them great pleasure. Just because a life threatening cardiac event is survived, doesn’t mean we have to stop living. Avoidance behaviors can be destructive. Help patients recover and get back up on their particular surfboard. Spend time educating, coaching and empowering your patients. Share as much data as you can. Help your patients learn to “Hang Ten”!